I have been without the internet at home for four days, and counting. I am feeling isolated, irritable and generally out of touch with reality (a slight exaggeration) but it's just not a fun time. In a way it doesn't make sense to feel like that. Only 22%* of the world have internet access anyway, I haven't had it my whole life, and it's not actually something 3D and tangible that I can physically miss. Except that it is, or something. Most of the time, I am the internets number one fan. I use it to look up pictures of the Brady Bunch, to falsely click 'attending' to miscellaneous parties on Facebook, and to Google 'Bardot' song lyrics. When I'm not doing those things, of course, I write here or post stupid pictures on my Tumblr account. As you can see, all these things are of substance. I can see why people love the internet so much. Or maybe they don't love the internet. Even I think maybe I love the internet because it offers a feeling of connection and belonging while one is simultaneously alone. A very attractive prospect, however not totally satisfying. The internet is sort of like Andy Warhol's idea when he said he wished he could watch every party he was invited to from a monitor in his bedroom. It sounds fantastic, but it's compromising reality or something. Anyway I am infinitely frustrated with Telstra and their inability to do something REAL and connect us to the internet again. As I spend hours listening to the 'on hold' music I think about things like this. I need a life. 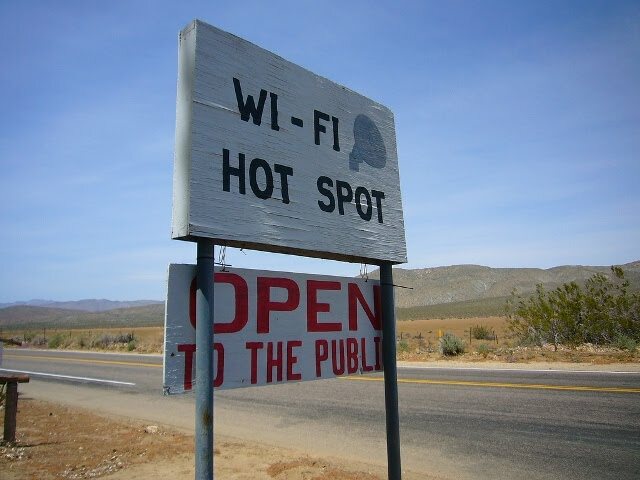 And Wi-Fi. * Probably not a correct statistic.